When talking about Lean, usually people tend to focus on the process management part. However, few realize that just adopting the most emblematic management tools such as Kanban may not necessarily bring the desired improvement without changing the way they lead. Now, we don’t plan to bore you with all the leadership fluff. Nor do we intend to explain how leadership tactics evolved through the ages. 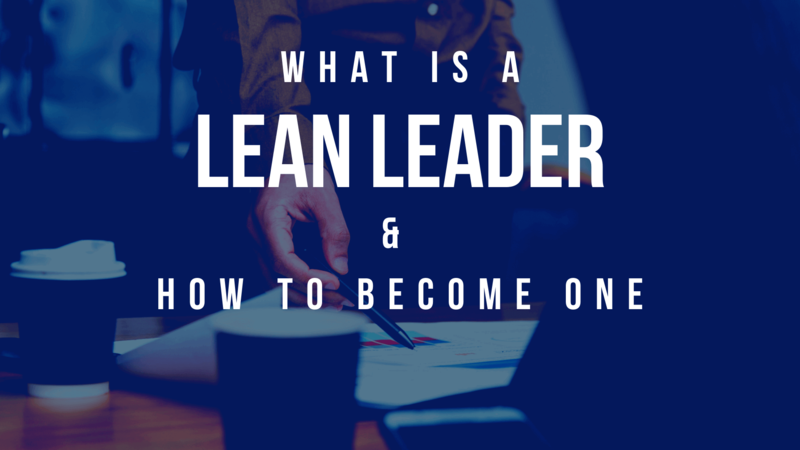 But if you decide to stay until the end of this article, you will be able to understand the lean leadership model, look into the lean leader’s role, and identify some practices to become part of your leadership behavior. Why Do You Need Lean Leadership? As a methodology, Lean is focused on providing maximum value to the customer in the most efficient way possible. Therefore, any manager who is determined to achieve this needs to put a heavy emphasis on continuous improvement. The problem with continuous improvement is that it is difficult to sustain with traditional leadership tactics that rely heavily on centralized decision-making and micro-management. Having this in mind, it is fair to say that if you are not ready to make changes to your leadership way, you shouldn’t ask your team to change the way they work. To grow, each person you are leading needs to feel challenged by their work in order to look for better ways of doing it. This won’t be easy if you are a fan of micromanagement because your team will not bother to do anything outside of your instructions. When challenged and given the liberty to seek improvement, a person can develop a Kaizen mindset focused on solving problems, not just following instructions. If we have to summarize it briefly, it is a cycle containing four steps: Plan->Do->Check->Act. As a lean leader, you need to take this by heart and involve your team in every step of the process. To facilitate the necessary Lean environment, you need to be part of the team, not a figure above it. Going on frequent walks outside of your office and communicating freely with each person will help you achieve that. Talking about the importance of teamwork may feel like a cliche but without it, even the most highly-motivated and skilled people will be just individuals who are extremely good at what they do but are not necessarily looking in the same direction. Last but not least, respect for people is crucial for the success of anyone who strives to be a lean leader. Here it is important to explain that respect for people is not just about being polite to your team. It’s the acknowledgment that the people can’t do the work alone. Respect for people is actually about respecting people’s opinion, expertise, ability to challenge your decisions, and personal limits. The lean leader is more of a teacher than a manager. If you are determined to make the methodology work in your organization, you need to encourage your team to continuously improve both their hard and soft skills. To make the lean leadership model work, you have to put heavy emphasis on culture. Among the most important elements of which must be trust and transparency. Whether you are in a formal leadership role, or not, be sure to lead by example and live by what you preach. As a guiding figure, you need to recognize that the team, which is directly working on your product or service can provide some of the best ideas for improvement. Be sure to encourage each person to share any ideas they might have. This doesn’t mean that you should agree to every proposal they make. However, as a coach, you shouldn’t just turn down those that you don’t see fit. 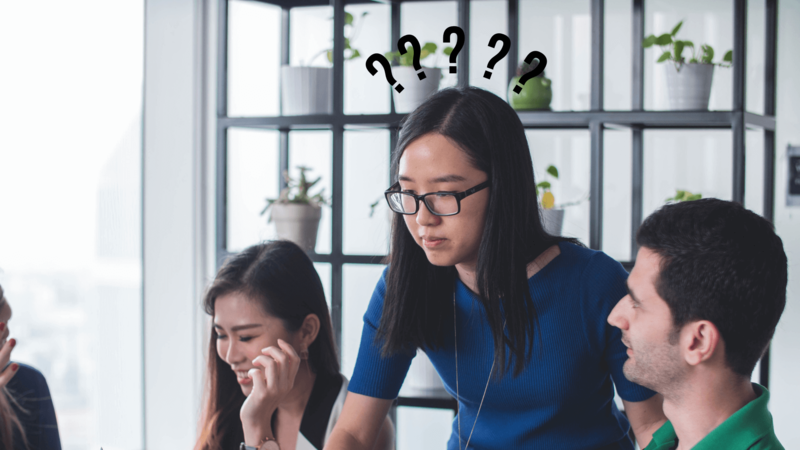 Instead, a true lean leader must ask clarifying questions that will either help her understand the idea further or allow the person giving it to reach your conclusion by himself. A very good tool for this is the 5 Whys method. It is quite simple to enact. You just ask the question “why” until you reach the core of any problem or idea. Your leadership role is to allow each person to learn and experiment. Providing all the necessary educational materials is a good start but experience is invaluable for raising leaders from within. At Kanbanize, we are huge fans of experimentation. Pretty much everything we do is in the form of experiments. All of them are done using the above mentioned Kaizen mindset. For example, our development team does a lot of experimenting when creating new product features. They start small by creating a hypothesis regarding the need for a feature. Then, they create a minimal viable product (MVP) and release it for user testing. If there’s positive feedback and we see that people are actually using the feature, we analyze the available information and start planning how to enhance the feature further to provide more value. Please have in mind that experiments can only happen naturally in a safe environment. As a lean leader, you must understand this and do everything in your power to create an emotional safety for the team. Once again, we must point out that you need to keep your team aligned toward reaching a common goal. An important part of the lean leadership role is helping your team see the bigger picture. If this is not the case, it’s going to be easier for a person to deviate and internal conflicts may arise. Visualization is your greatest ally here. Using methods such as Hoshin Kanri and Portfolio Kanban you can put light on strategic goals and break them down into multiple levels of smaller tasks. Even better, you will be able to visualize dependencies and keep everybody in the loop about how their tasks fit into the big picture. In order to maximize the value for your customers, everyone needs to understand how it flows through your organization from conception to delivery. 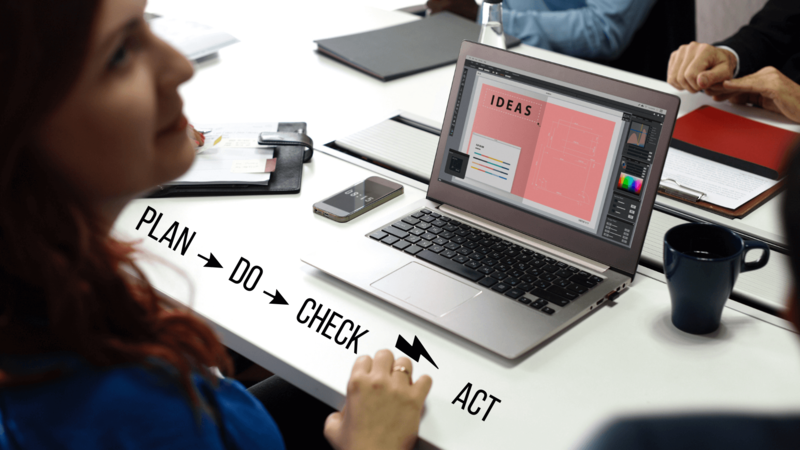 In the final section of this article, it is only fitting to point out a few habits that will help you become a highly-effective lean leader. As part of the team, you need to be present as frequently as possible. We recommend setting up a 10-minute daily stand-up meeting. It will provide you with an opportunity to sync progress on important initiatives, discuss any existing or potential blockers, and get aligned about what’s expected to happen during the day. A good practice is to schedule it soon after the beginning of the workday. Monitoring the flow of work across your process can help you be a more effective coach and point out room for improvement to your team. Use every mean available to stay ahead. We advise you to keep a close eye on your workflow analytics and look for ways to improve your company’s value stream. As part of your leadership role, be sure to give credit when it is due and alert team members when their performance starts to drop. Make sure you praise top performance in public and keep the negative feedback for private talks. Lean leadership is necessary for making the most of the Lean methodology. It is more of a coaching role than of a managing one. The primary function of such a person is to raise new leaders and help their team embrace a culture of continuous improvement. A true lean leader is value-driven and puts the needs of the customer in the first place. If you want to become one, be open to experimentation and don’t be afraid to give team members ownership of their tasks. Keep as many feedback loops open all the time and provide your colleagues with the chance to see the big picture and how they fit into it. 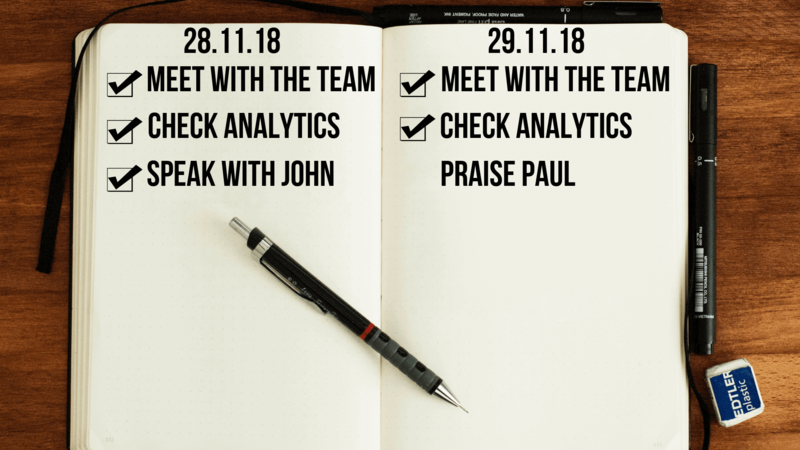 This entry was posted in Kanban, Lean Management, Lean Product Development on November 29, 2018 by Alex Novkov.